Haha, this is WB's 3rd birthday treat . I know you are bored of hearing this but for me, I feels he is the most happiest person on earth coz we celebrated 3 times for him, a day before, the actual day and the day after. ...and I am also indirectly reminding him that I too would want to have 3 days of celebration :p Just kidding. My Piggy Josh was back for his dad's birthday, my Piggy Joanna will be back next week to celebrate her dad's birthday so that means WB will be having his 4th celebration, though a belated one ! hahaha this year is truly a blessed year for him. On the actual day, we took him to Plan B to try out their pasta and to our delight it was as good as the one I had in Plan B Publika . I heart their Wild Mushroom Pasta with truffle oil..lovely and I ordered the same one in Ipoh and gosh it was GOOD haha in fact they gave more mushrooms over here in Ipoh...good for me. The birthday boy doesn't like pasta, so he ordered their Chargrilled Cheese Beef Burger and Piggy Josh had Asian Spicy Crabmeat Pasta and he said it was good too. 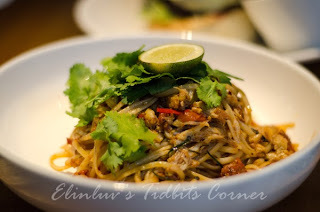 He had wanted to order the Moroccan Lamb meatballs pasta but they do not have it for the Ipoh branch at the moment. Well...I would say it is better to wait another few months before you eat there. 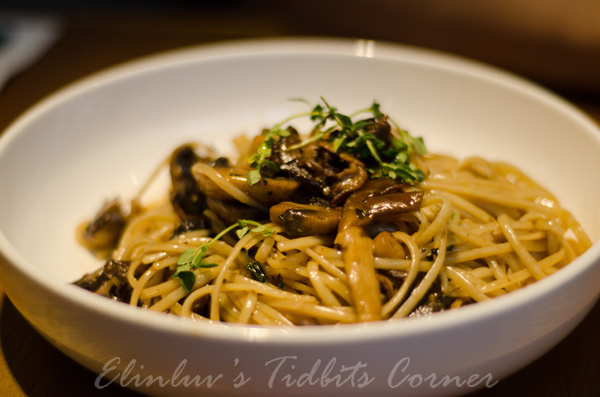 teething period will be over then :) but for me, their wild mushroom pasta is really good..in Ipoh and KL branches !